Now you are getting to see one of the roses that truly gets to me. I absolutely love this rose. 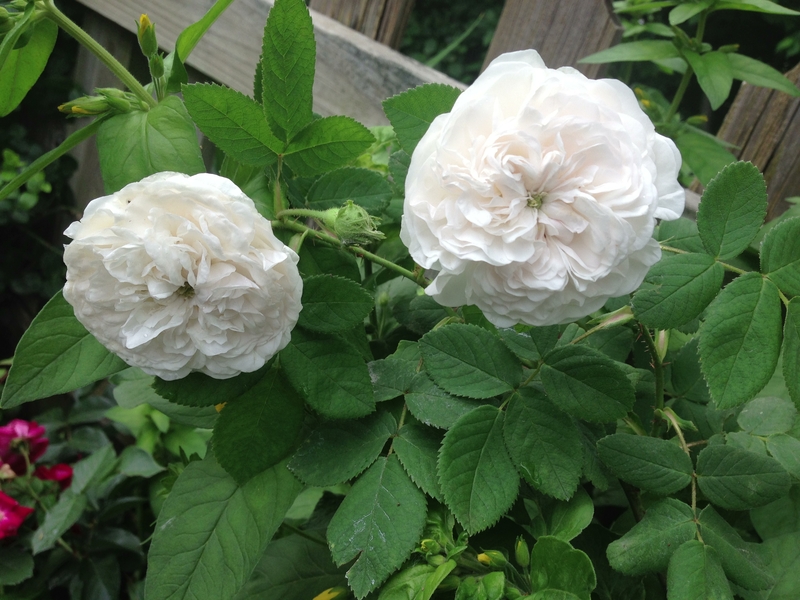 Madame Hardy is a Damask rose dating back to 1832. She has beautiful white classic formed flowers with a tiny green button eye. All Damask roses are known for their rich perfume and she is no exception … lovely old rose fragrance with a hint of lemon. This rose grows to about 5′ in my garden. History Lesson: Madame Hardy is named for the wife of the head gardener in Empress Josephine’s (first wife of Napoleon) Malmaison garden. 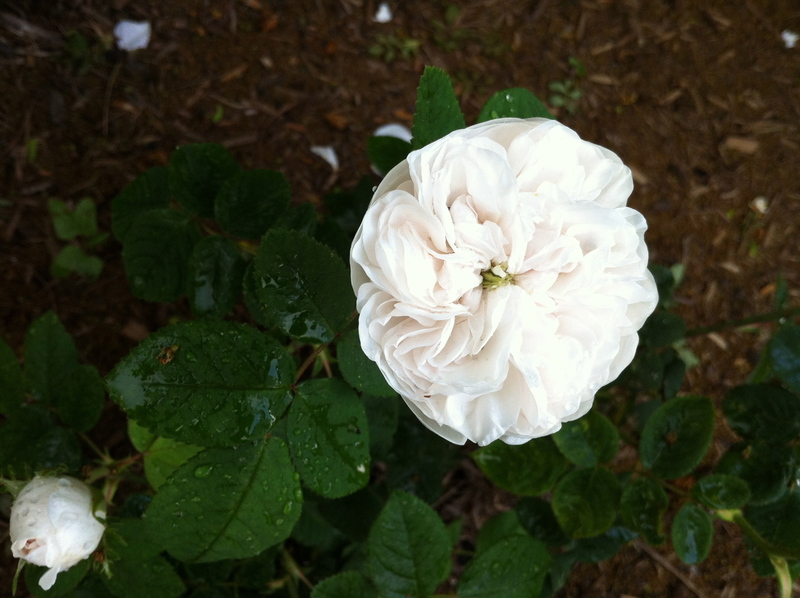 Empress Josephine was a zealous rose collector. (She had to keep busy while the hubs was out fighting the wars.) Her collection of roses was the world’s largest at that time. Josephine was a wise empress! 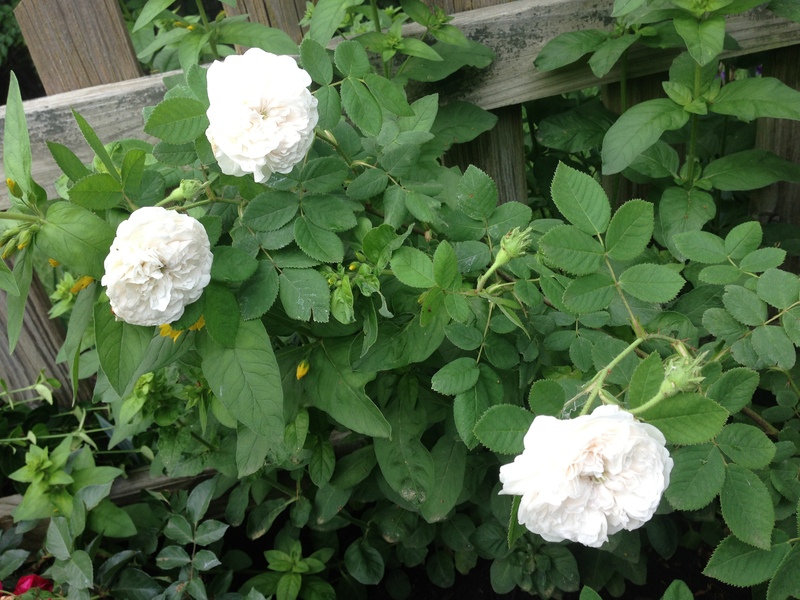 very nice rose, love the spiral appearance of the petals, damasks are hardy since you live in zone 5b I live in zone 5a/6 border, so it might do well here? okay I don’t have 200 roses but I am working on it, lol.